In our former article we shared a innovative USB car charger product with our old and potential customers, shall we stop our step? 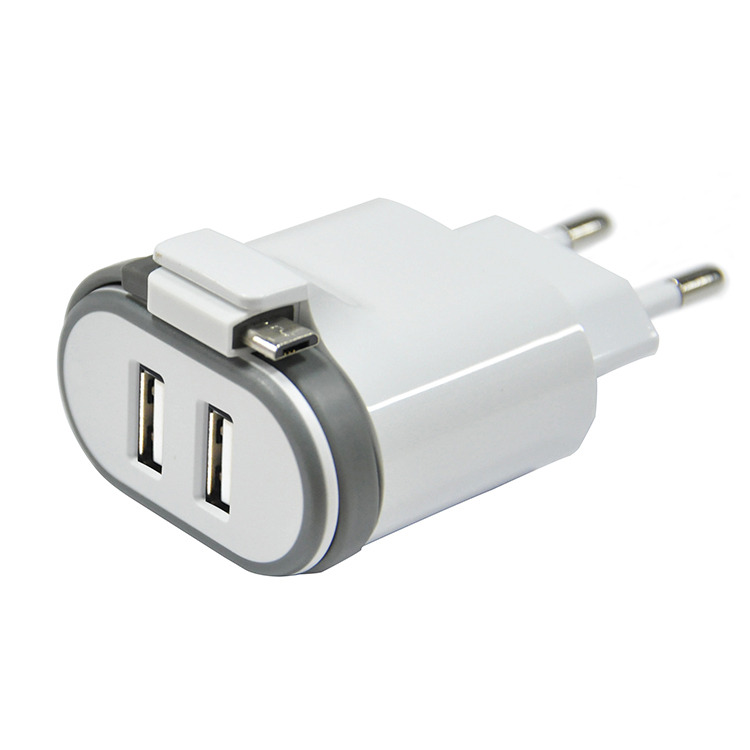 TooFar will never stop our step and we have developed a brand new USB wall charger with the same style soon after that. 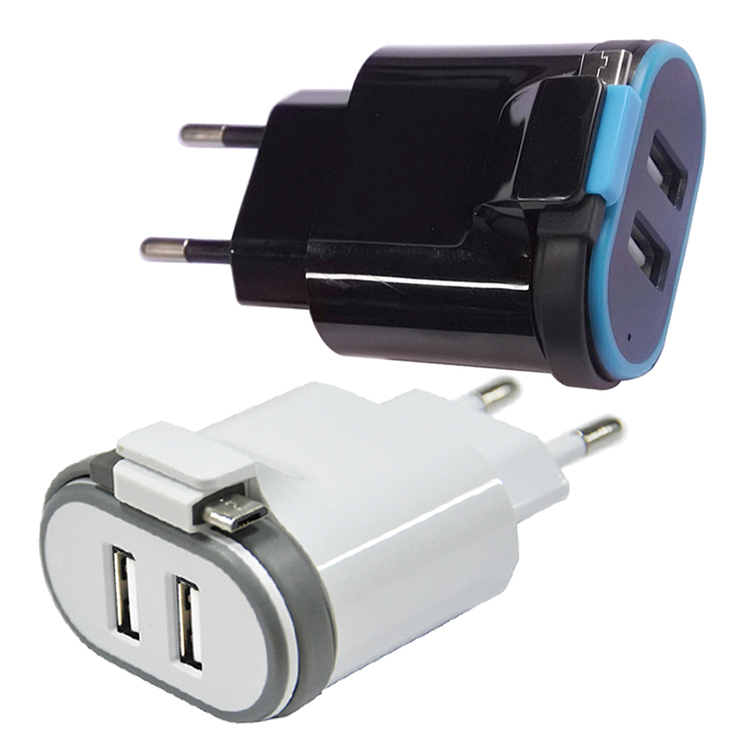 At the first sight of this wall charger, you may be attracted by the extra Android charge adapter, yes, that's the secret, Actually, there's a fixed charging cable coiled on the charger, how's that? A slim noodle cable make it looks nice and make sure there's enough space to stock the cable can the adapter. 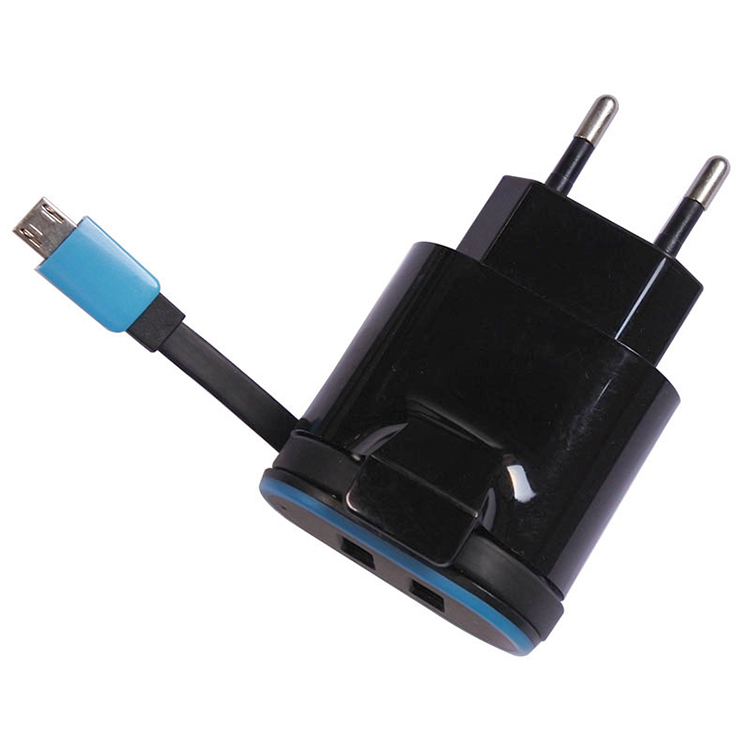 The top charge speed for the USB cable can reach 5V 2.4A(while the 2 USB 2.0 output are free). 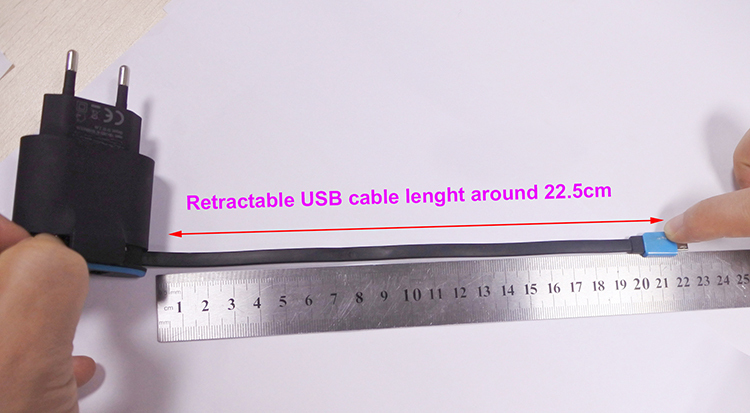 The total length of the cable can reach 22.5cm, neither too short nor too long, when you forgot your USB charging cable or the charging cable was on strike suddenly, our unique wall charger will make your phone/tablet full blood soon. 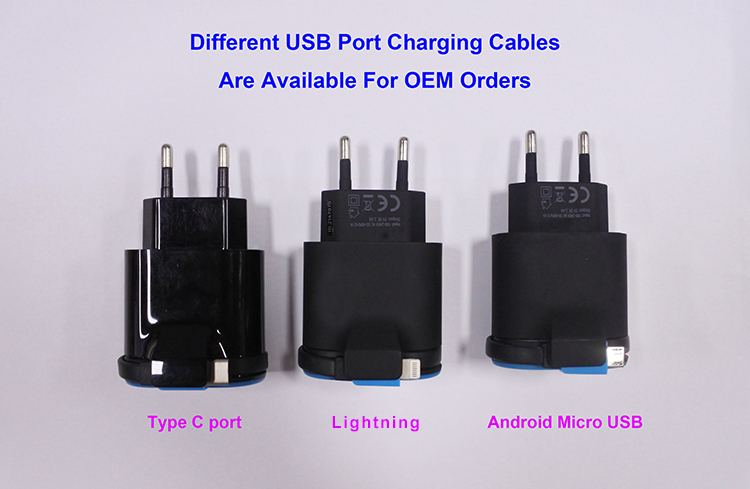 Moreover, we offer different charge adapter for the wall charger, common USB adapter are avaiable(depend on your phones or the requirement of your customers), if you don't like to leave the fingerprint on the slippy surface, our facory is able to offer you the soft matte coating housing. Both black and white color are available currently, as our factory's policy, custom logo service will be highly welcomed forever. 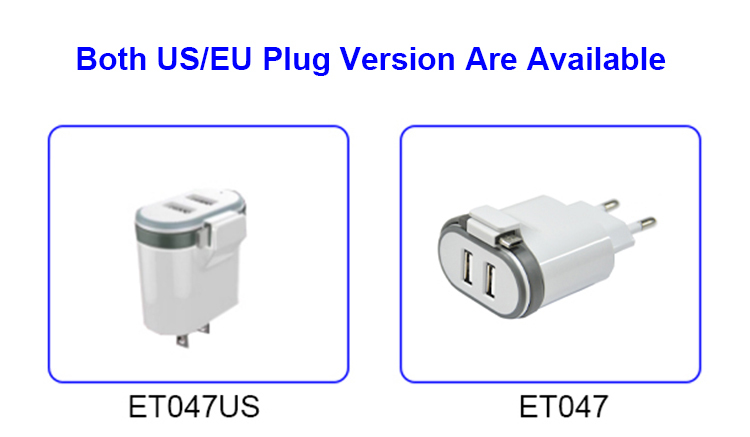 Another good news is both EU/US plug version are in mass production, no matter you are in America, Asia or Europe, you have the opportunity to test and enjoy our excellect products. Don't forget our sample(1 or 2 pcs for quality test and show it to customers) are free! Please contact Mr Tom Zhai for further assistance if you have interest in our product, thanks for your concern.